More ID making materials. 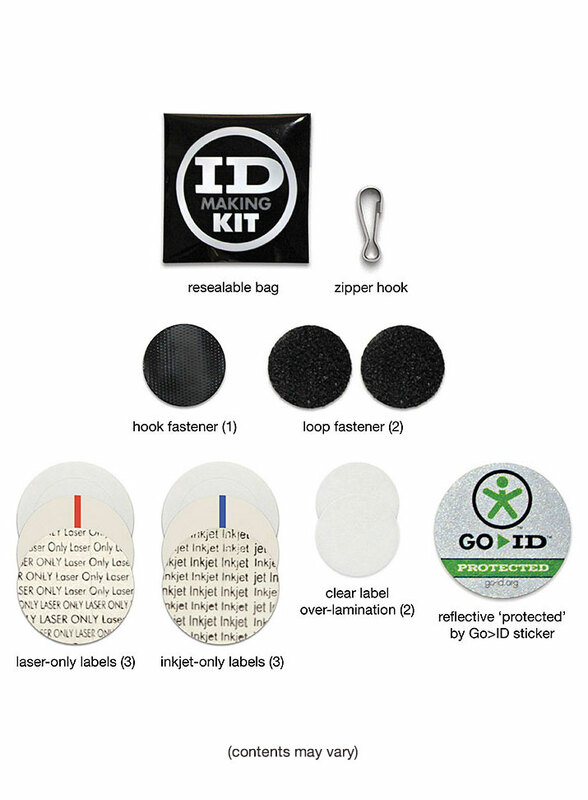 Your GO>ID comes with an ID Making Kit. Order another kit only if you need additional labels, hooks, or other materials — or if you just want an extra set. The ID Making Kit comes with everything pictured.